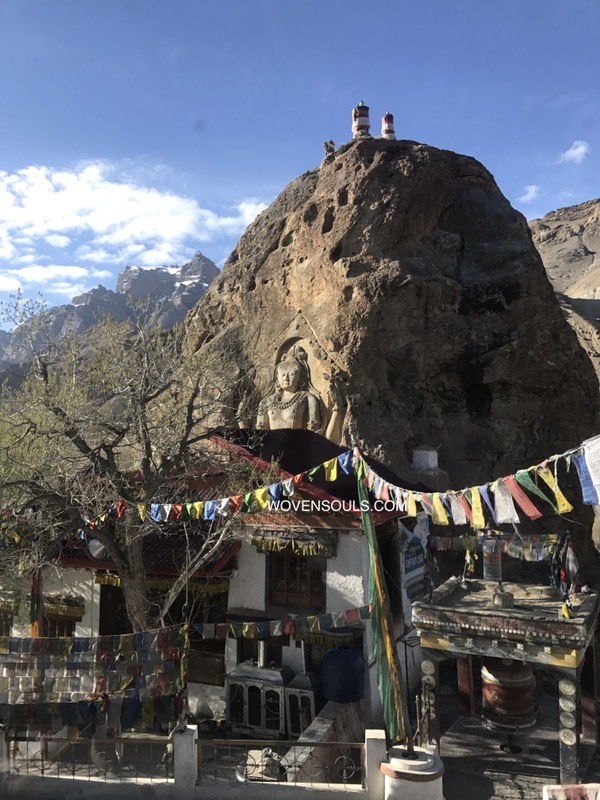 Mulbeg is a small Buddhist village in Kargil that I’d first heard of while studying Perak headdress types. 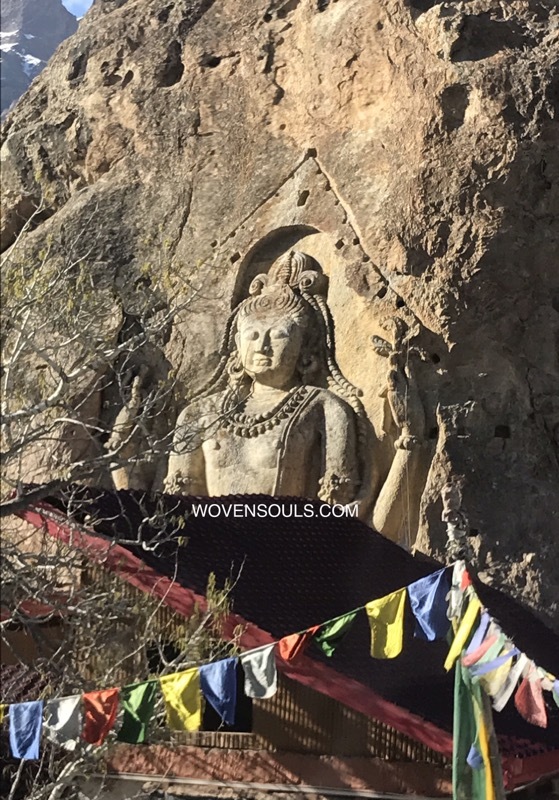 Never thought U’d visit it someday to see the spectacular Buddha mountain sculpture. 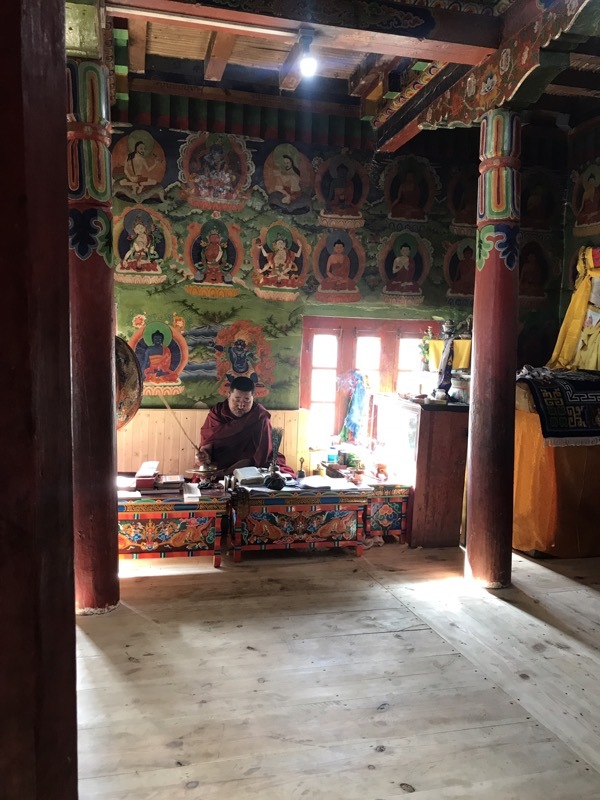 A little Gompa has been built around it and a monk offers prayers several times a day. Will post a video of the prayers later. More on 2other Buddhas to follow. That is a very beautiful sculpture. 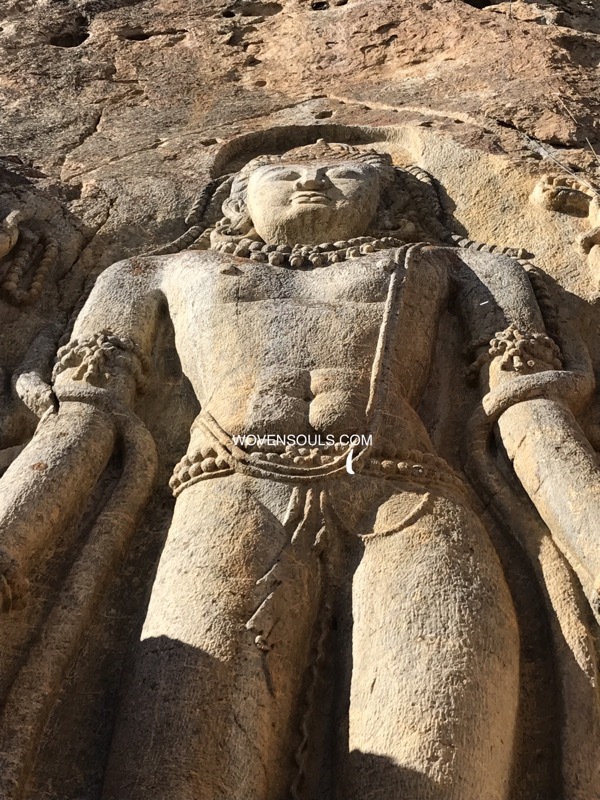 Do you know when it was carved? 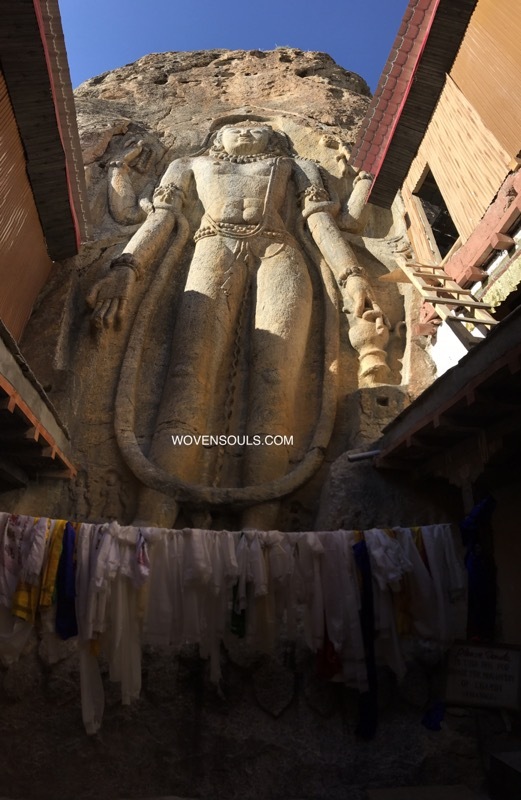 This entry was posted on May 14, 2018 by wovensouls in Art Kaleidoscope and tagged ancient, art, Buddhism, Buddhist, Himalayan, himalayas, india, ladakh, monk, sculpture, travel, travelogue.